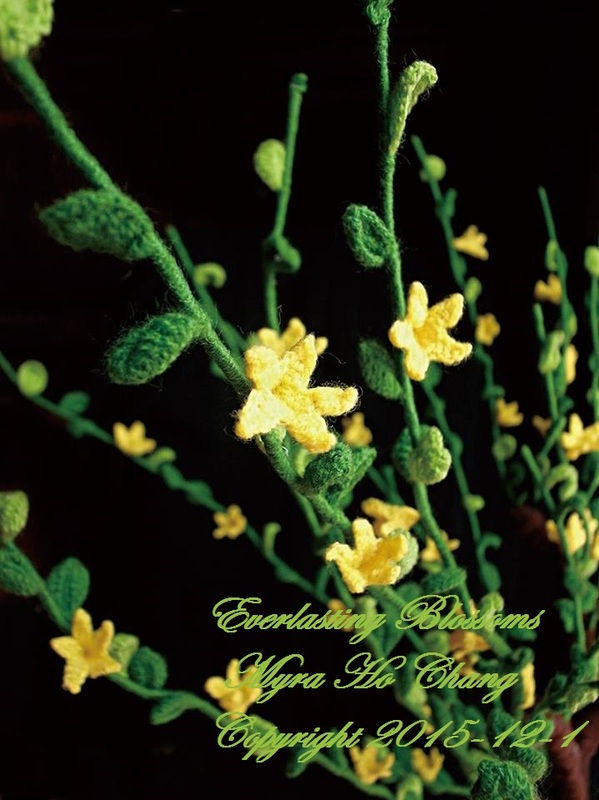 Winter Jasmine is very common in the northern part of China. You can see them almost everywhere. Since Taiwan is at the subtropical zone you can only find the in the mountains. 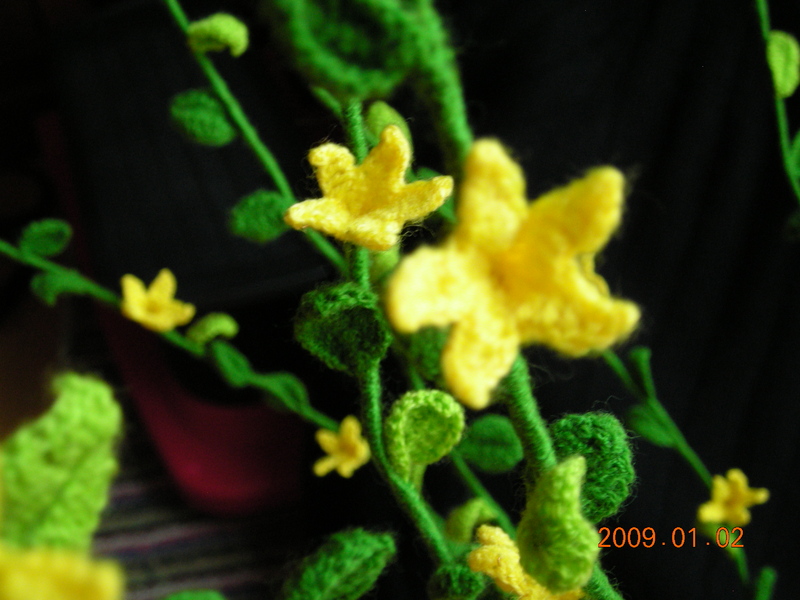 To comfort my mother’s homesick, She crochet the Winter Jasmine as the ones in her memory. One day at the flower market I saw some small yellow flowers in bundles. Not much eaves. 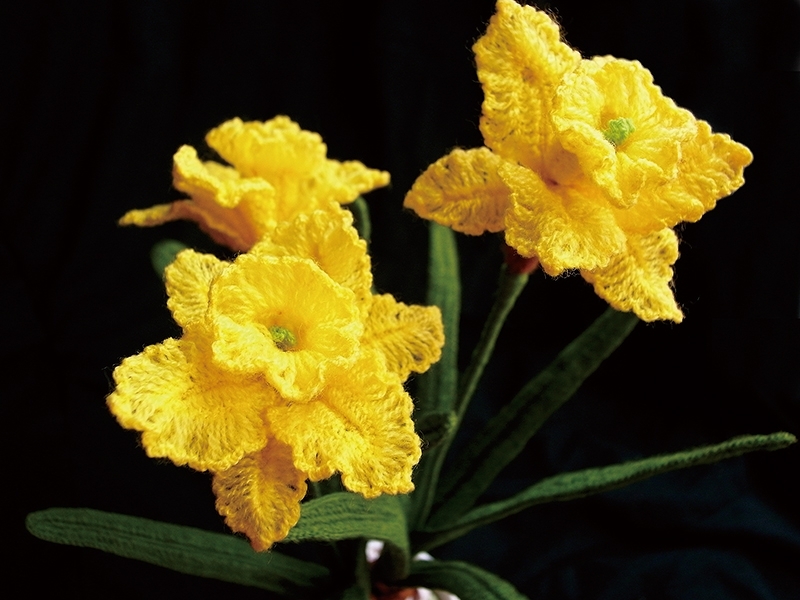 Those flowers looked like one of my mother Everlasting Blossoms – Winter Jasmine. When I bend down to look at the tag which tied on the spray. Yes! 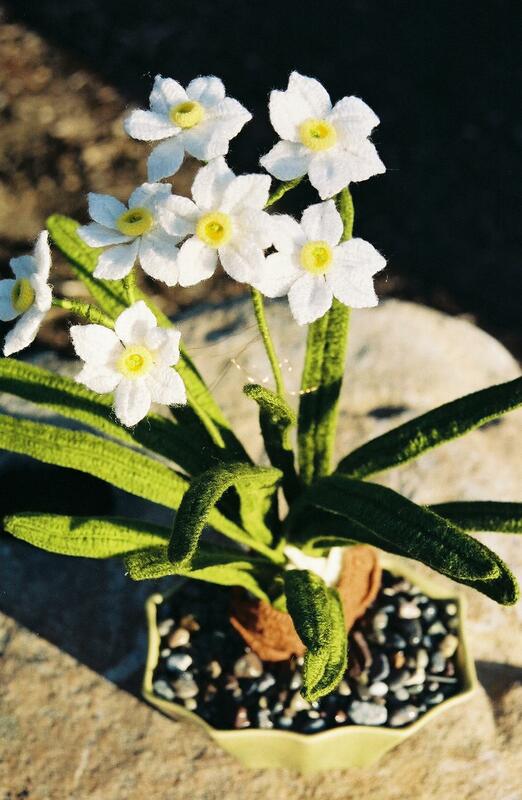 They are “Winter Jasmine”! The only different between the fresh ones and my mother’s everlasting ones were: the fresh leaves and the petals of the flower were much thinner! Some of them were not looking fresh anymore!